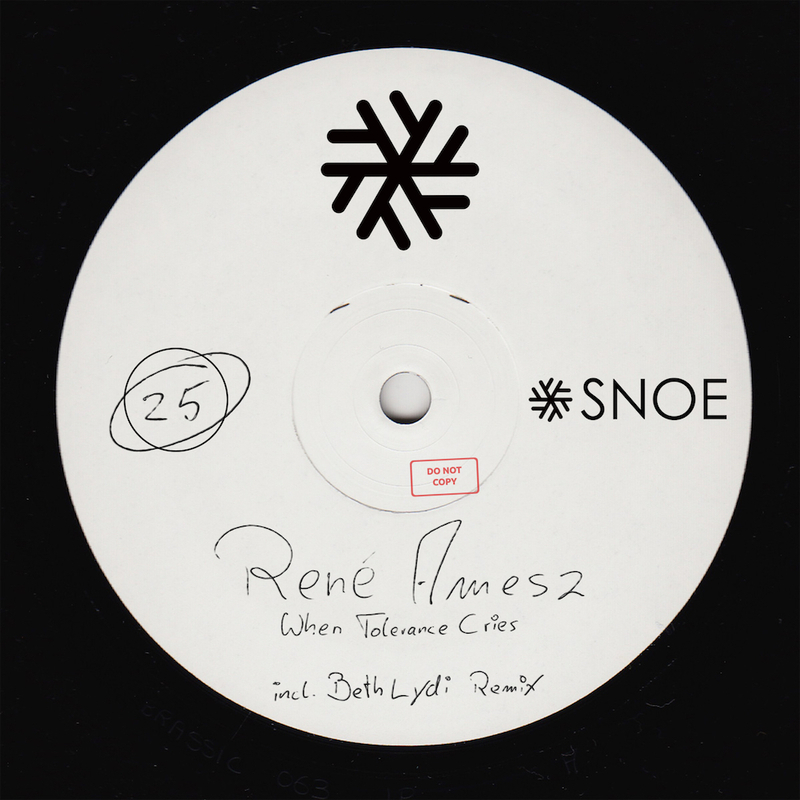 One of the hottest names in the electronic music scene, René Amesz, is back on SNOE with a full EP after his first appearance on the label last year doing a smashing remix for Not Usual. “When Tolerance Cries EP” is nothing short of a two tracker tech house groove monster, and label owner Beth Lydi also joins in with a remix. The title track is filled with energy, tight percussions and incredibly catchy synths ready to release the dance floor frenzy. In Beth Lydi’s rework of “When Tolerance Cries” we are hit with a heavy and on point bassline underlining a fierce momentum build up. “The Same Kind Of House” rounds up the EP with its dirty and seductive groove. The song brings proper attitude and the dynamic between the vocal elements and drums gives an experience of naughtiness jacking your feet, making it impossible to stand still.